Chiropractic care offers people of all ages hope, healing and a higher quality of life. 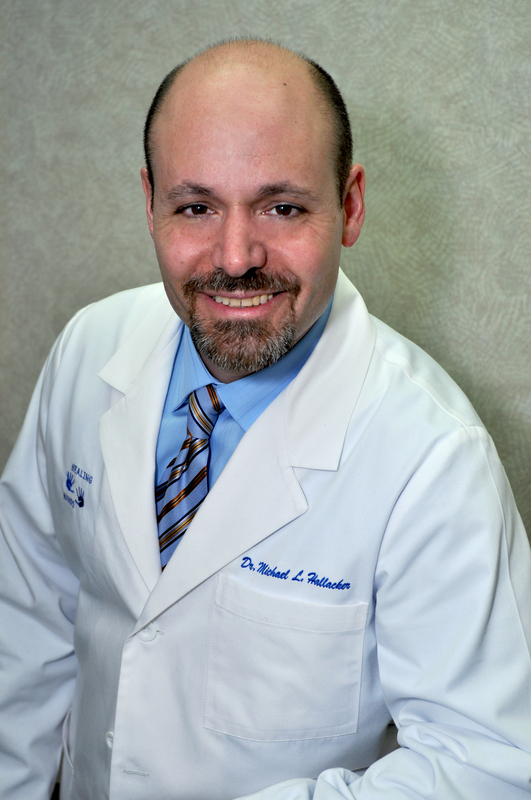 Dr. Hallacker is a Chiropractic Physician at Hallacker Chiropractic Center LLC in Stockholm, New Jersey. He received his Doctorate of Chiropractic from Sherman College of Chiropractic in Spartanburg, South Carolina and graduated with national board certification in his field in 1993. Dr. Hallacker holds a Bachelors of Science in Biology and is also a Certified High School Biology Teacher. He has been practicing in beautiful Sussex County for over 20 years, where he helps families discover the many benefits of a chiropractic lifestyle. Dr. Hallacker currently has 2 office locations, one in Stockholm and one in Branchville where he is available to serve the surrounding community. Dr. Hallacker became a chiropractor as a result of a wrestling injury. When no other treatments would work Chiropractic was the last stop. Only one adjustment and I was back on the mat wrestling again. It got rid of rid of 90% of my pain …my life was changed forever. I began researching Chiropractic and knew God was leading me into the Chiropractic profession. Chiropractic literally changed my life and I became a chiropractor as a result of that experience.